HRD is an icy, non-agricultural and nonindustrial vacuum world, warranting hazardous environment precautions. It requires extensive imports of outside technology to maintain a modern, star-faring society. It is a member of Third Imperium in the Vincennes Subsector of Deneb Sector and in the Domain of Deneb. HRD, as a member world of the Third Imperium, holds the estate of an Imperial knight, a member of the Imperial Nobility charged with overseeing the world. This world has a nearby Imperial Naval Base, capable of handling warships. HRD has complete lack of an atmosphere, but does have some water frozen on the planet's surface. 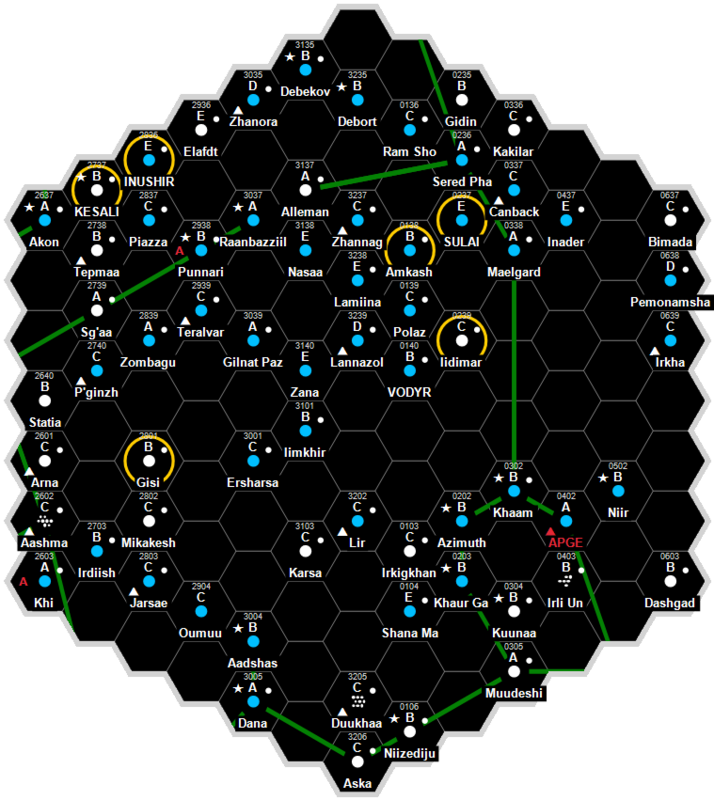 The system has a population between 10 million and a billion sophonts, with a self supporting industrial base. It is a member of Regency of Deneb in the Vincennes Subsector of Deneb Sector. This world has a nearby Regency Naval Base, capable of handling warships. Rob Caswell. "HRD." MegaTraveller Journal 2 (1991): . Joe Fugate. "DIS Newsbriefs." MegaTraveller Journal 4 (1993): . This page was last modified on 5 August 2018, at 21:27.